PCB refers to the printed circuit board, which is the supporting body of the electronic components. Electronics enthusiasts in the design process need a measurement tool can be a collection of all necessary functions. 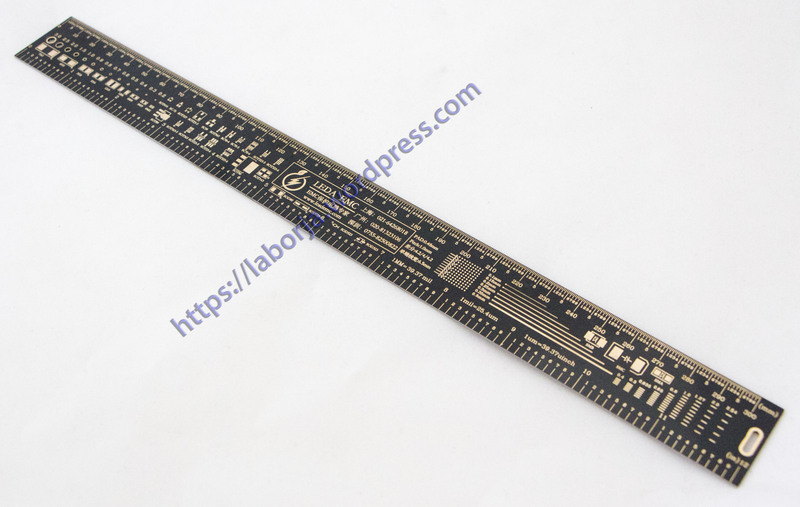 Multifunctional PCB ruler, in addition to the basic functions of the measured in millimeter and inch size. It also integrates relevant information for PCB design, such as the amount of angle instrument, device, IC pin spacing control table, resistors and capacitors SMD package, commonly used reference of hole diameter, width size reference.We have all this information printed on the FR-4 – based PCB.